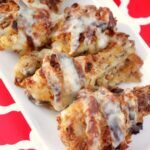 Black Pepper Chicken - Frugal Mom Eh! 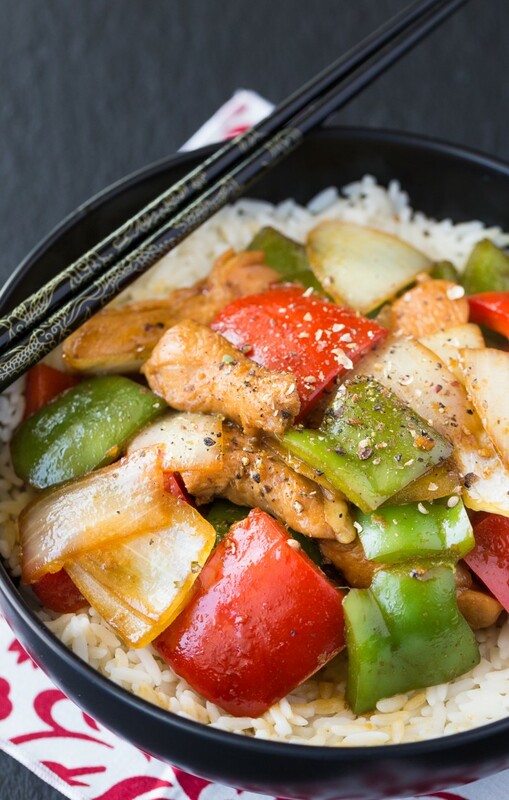 A Chinese food restaurant classic, this Black Pepper Chicken recipe is super easy to make at home. 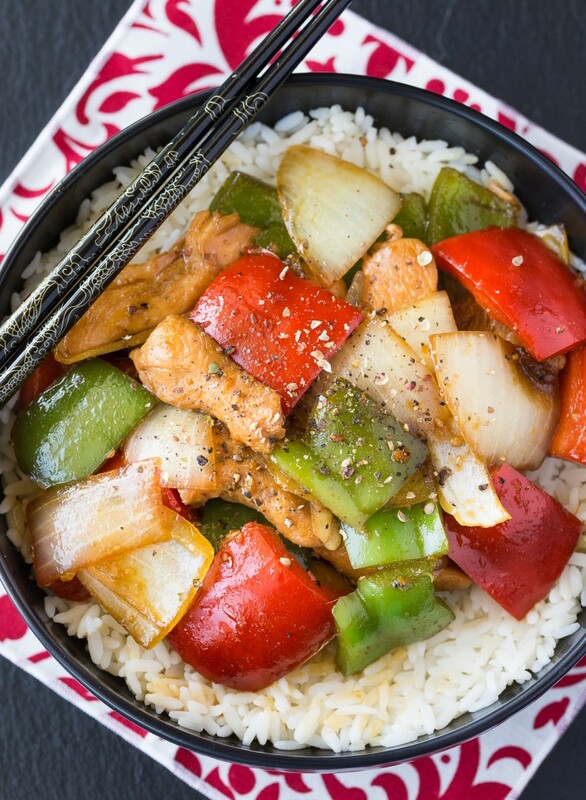 It’s a flavourful asian-inspired dish the whole family can enjoy! I really, really love Chinese food restaurants. It’s an addiction, everything is so fresh and flavourful and saucy! Thankfully, many of my favourite recipes are easy to recreate at home for my family. 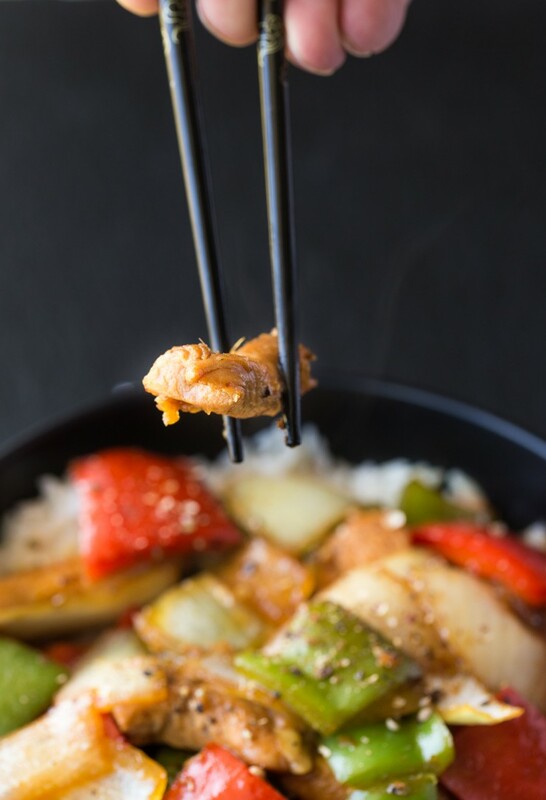 This Black Pepper Chicken recipe’s sauce is based on Oyster sauce, but don’t let that scare you away! Oyster sauce does not taste fishy at all, it has a salty-sweet flavour to it which adds wonderful balance to this dish. 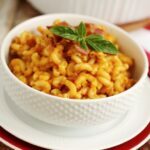 This recipe is a mish-mash of various different ones I have tried over the years until I created the exact flavour I was looking for. 1) Mix in 1 TBSP of soy sauce with raw chicken and allow to marinate for 20-30 minutes at room temperature. 2) In a small bowl, Combine Oyster Sauce, 1 TBSP Soy Sauce, Wine, black pepper and honey. 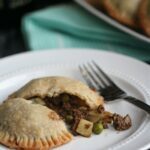 Set aside for about 20 minutes and then taste and adjust if needed. Allowing the sauce to sit awhile allows all the flavours to deepen. 3) In a wok or large stainless steel skillet add oil over med-high heat. Add chicken and stir-fry until the chicken is no longer pink in the middle, about 4-5 minutes. 4) Add the bell peppers, garlic, onion and ginger. Stir fry an additional 3 minutes, vegetables should be still crunchy but slightly tender. 5) Add sauce and stir-fry for 1 minute before removing from heat. I love peppered chicken at chinese!! I will give this a go, never knew about the oyster juice.. weird but I trust you and will give it a go ;-)!! That looks delicious! I could actually get the hub’s to eat it too! Gonna have to try your recipe. I usually do something similar, but never used oyster sauce or white wine. I might have to give it a try! Looks delicious. I alway use oyster oyster sauce. Must add wine next time too. wow, this looks amazing! and the recipe is so simple, i have to try it! Looks delish! Im another that has never used oyster sauce – guess I’d better go shopping. 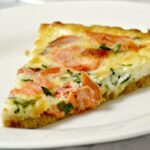 I am going to share this dish with my fiance we love trying new variations of recipes we love………….thank you looks so good! this just made it on the menu plan for tomorrow! I made this and it was wonderful!! Thanks so much for sharing!! I’m glad you enjoyed it, Thanks for coming back and letting me know! I would love to try and make this! We eat the same things over and over and this would be a nice change! This looks so delicious! 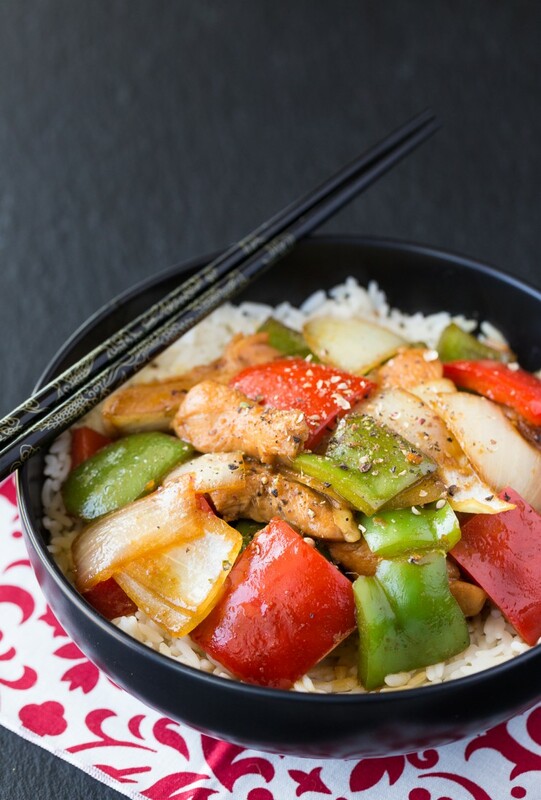 My family loves stir fry and I’m always looking for tasty new recipes! Thank you! 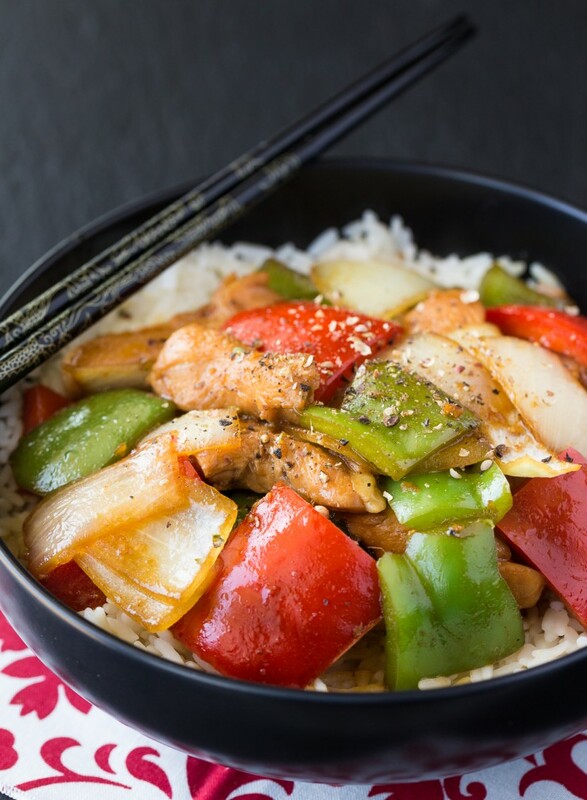 Stir frys are healthy and delicious.This sounds like a recipe my husband and I would love .Thank you for sharing it and I hope mine turns out as good as yours. I love these kind of dishes, it looks sooo yummy! My family would love this recipe. love this recipe, I’m going to give it a try next week. thanks for sharing! 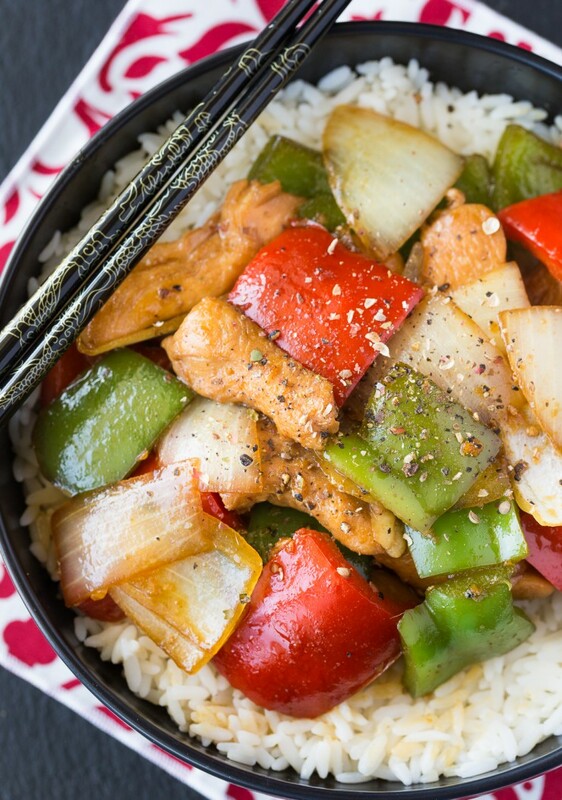 We’re having a similar version of this for dinner tonight, I tend to over do it with peppers though, my fave…. Oooh looks amazing! I think I’ll try it tonight! ooh dear, this makes my tastebuds burst! This is so much healthier than the deep fried meats we usually get at Chinese restaurants! Ohhhhh, this looks good. Thank you for sharing the recipe. This looks so good and I ate the whole thing with my eyes. This sounds like the kind of recipe my family would love! Thanks for sharing the recipe. This is a great supper idea – thanks for sharing!